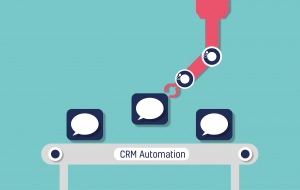 Today, Fonix announced the launch of CRM Automation: a set of customer engagement automation tools for its clients to deliver mobile interactive services. CEO of Fonix, Rob Weisz commented: “This is such an exciting development for Fonix product suite. CRM Automation will allow for more targeted campaigns, providing those that love engaging with services an experience that is focussed upon their interaction habits. It will drive engagement and crucially, help our clients to avoid sending unwanted messages to their audiences. Fonix has announced today that it has been listed in the FT Future 100, a compilation of British companies making an impact either on society or their industry. This is the first year that the FT Future 100 has run and to make it on to the list, companies had to excel in one of four categories: boosting diversity, consistent growth, disruption and those seeking to make a positive impact via their environmental, social and governance policies (ESG policies). Fonix received recognition for its dedication to disruption. In this category, judges took into account measures such as research and development spending as a proportion of revenue, as well as the company’s own pitch as a disrupter. Fonix also received recognition for its consistent revenue growth, which is based upon its two consecutive listings in the FT 1000. CEO of Fonix, Rob Weisz commented “We’re absolutely thrilled to have been listed in the FT Future 100, as we know what a prestigious listing this is. Fonix is at the heart of driving the mobile payments space in the UK – to be recognised for our disruptive technology really rubber stamps this! 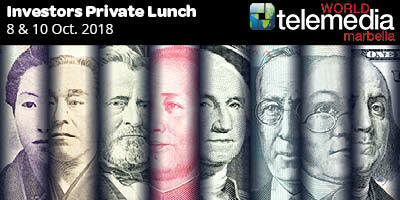 You can view the full FT Future 100 UK list here. The telemedia industry has long been driven by entrepreneurs and has thrived on turning great ideas and technology into money making services – and the World Telemedia Show has always been the showcase for unveiling these developments. Now in its 29th year, the show is looking to further drive this entrepreneurial spirit by running a series of lunches at the next event in Marbella in October where those with great ideas or businesses that need to take that next step can pitch to Investors. World Telemedia looks forward to another successful event in Marbella on 8-10 October. An enlightening series of seminars and country updates, a deal-making expo hub and the most glamourous business networking around has been planned as the backdrop for serious deal making on-site. A must attend event since 1989, World Telemedia is focused on Driving Value Added Services and Monetising Content. The only European event that showcases how carrier billing and other alternative payment platforms are evolving (in partnership with Service Providers and Aggregators) to create a dynamic “Telemedia” value chain which is typically driven by minutes, messages and traffic. Fonix, the tech company for acquiring and engaging consumers through their mobile phones, has announced today that it will be providing a mobile donation mechanic for Soccer Aid for Unicef, the biennial British charity football match which raises money in aid of UNICEF UK. The game kicks off at Old Trafford on 10th June, and both the England and World XI teams include a host of impressive celebrities – including Usain Bolt, Sir Mo Farah, Gordon Ramsay, Michael Owen and Jamie Redknapp. Fonix will be providing a mobile payment mechanic to the charity, allowing viewers to give to the charity via SMS in £10 and for the first time, £20 amounts. Fonix will also be managing Gift Aid donations, by sending reminders to donors to add Gift Aid as well as building a dedicated microsite for them to make a Gift Aid declaration. 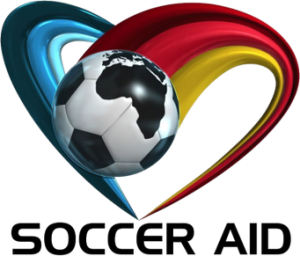 Suzanne Ryder Richardson, Program Lead at UNICEF UK said “We know the public really get behind Soccer Aid for Unicef and that it’s a tremendously popular show, particularly with the fantastic line-up that it has. Encouraging viewers to donate to the charity is easy when there’s a frictionless payment mechanic that simply allows them to text to donate – it makes so much difference. “Equally, the Gift Aid reminders and the landing page for collecting Gift Aid will increase the overall amount donated and this can only be good news for Unicef”. Soccer Aid for Unicef is the original England vs. Soccer Aid World XI charity match. It was launched and co-founded in 2006 by Unicef UK Ambassador Robbie Williams and Jonathan Wilkes and has previously featured A-list stars such as Will Ferrell, Woody Harrelson, Mike Myers and Niall Horan, plus footballing royalty including Maradona, ZinedineZidane, Luis Figo and Ronaldinho. 100% of all public donations to Soccer Aid for Unicef will be doubled by the UK government, up to a total of £5 million through its UK Aid Match scheme, and will go towards supporting the vital work protecting children around the world. So far £24 million has already been raised through Soccer Aid over the last 12 years. SLA Digital and Telenor Group, one of the world’s largest mobile telecommunications service providers, have signed a global framework agreement making SLA Digital a delivery agent for digital content to a number of Telenor subsidiaries across Europe and Asia. The agreement offers Telenor subsidiaries access to SLA Digital’s ecosystem of local and international content that their customers can access via direct carrier billing. SLA Digital’s diverse ecosystem of merchants,including global brands,offers both one-off and subscription content across verticals including gaming, video-on-demand and music streaming. SLA Digital is live with Telenor Myanmar, with other subsidiaries following imminently. Telenor’s customers in Myanmar now have access to more digital content that they can charge directly to their mobile phone bill.